Diverse data types, changing and complex regulatory requirements, a growingly digital and multi-channel oriented customer base and an increasing attention to the risk environment all present challenges for banking and insurance organizations. Expert System’s Cogito has been deployed in many of the world’s largest banking and insurance institutions to deploy solutions for knowledge management, customer care, risk mitigation, anti-money laundering compliance and cognitive automation. The Cogito cognitive technology brings an understanding of the meaning of words in context in a high-performance platform built for processing large quantities of text with the highest precision. Through an in-depth analysis of content of all types, cognitive technology transforms data into actionable intelligence that can be leveraged across the organization to benefit a variety of operations and processes. 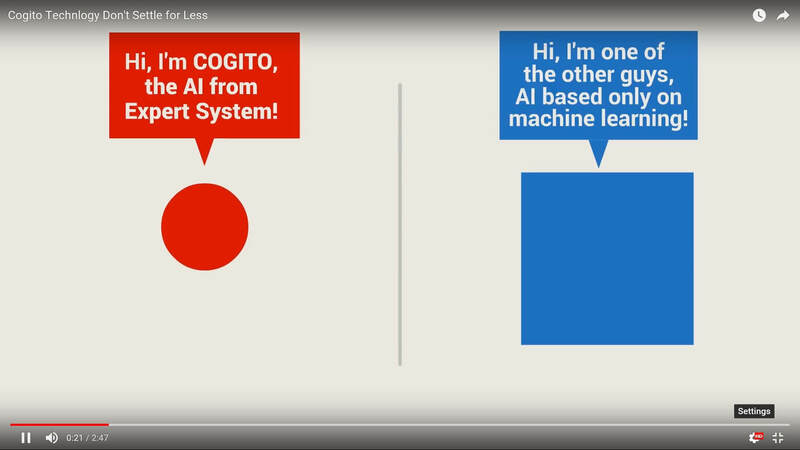 Want to test the capabilities of Cogito? Start a Demo Right Now! Mobile and online banking achieve an elevated level of user experience when language is employed as a primary interface. Understanding language as expressed by the customer and acting upon the request achieves a high level of customer satisfaction and loyalty. The same holds true for service. When customers express their needs within the context of their understanding, in their own words, this offers the institution a unique opportunity to satisfy the need as expressed. No matter which channel the customer is using—self service systems or live customer support—being able to respond without an elaborate or repetitious translation into the language of the bank is perceived by the customer as friendly and empathic. Customers love the experience. Financial institutions are constantly under scrutiny by the government and are required to comply with a growing set of rules in order to do business. Compliance requires not only effective information collection, but also strict adherence to procedure. Expert System’s cognitive software for search and text analytics can ensure compliance while reducing administrative costs. When evaluating the risk profile of a request for financing there are many considerations beyond the balance sheet and income statement. When financing is closely associated with the quality of leadership, leadership conduct becomes an increasingly significant consideration. Cogito has been deployed to understand the conduct profile of company leadership from publicly available information to reveal any factors that may indicate risk. Money laundering is not only about financial transactions, it’s about abstract relationships connected by commerce and conducted by those who go to great lengths to appear completely legitimate. Obfuscating illegal conduct is intentional and is achieved in increasingly sophisticated ways. Cogito is extremely powerful when applied to identifying and exposing abstract relationships, which is why a growing number of financial institutions rely on Cogito technology to contribute to their anti-money laundering efforts. The cognitive computing features offered by Cogito enable the automation of a variety of information intensive, costly and error-prone financial and insurance sector processes. The cognitive automation of claims management, underwriting contract integrity and customer interaction bring measurable ROI that reduces costs and ensures faster, more accurate processing at each step of the claims cycle. Thanks to Cogito’s human-like understanding of text, a number of time-consuming and complex activities such as claim and coverage validation, digital channel customer support and extraction of ICD9 or ICD10 codes for health insurance reimbursement can be automated. Learn more about Cogito for Claims, the Expert System software that automates claims processing, and Cogito for Underwriting, the software that accelerates the underwriting process and reduces risk exposure. Cogito can dramatically improve knowledge and information management processes, making information effectively searchable and shareable within the organization.